South Korea’s arms procurement agency chose the F-35A Joint Strike Fighter for the re-competed F-X III fighter competition, announcing plans on March 24 to negotiate a foreign military sale (FMS) for 40 jets, 20 fewer than originally sought. The South Korean Defense Acquisition Program Administration (DAPA) also approved the acquisition of RQ-4 Global Hawk Block 30 UAVs, Yonhap News Agency reported. Under the F-X III program, the Republic of Korea Air Force (ROKAF) sought 60 new multi-role fighters to complement the 60 Boeing F-15K Slam Eagles it selected in 2002. Lockheed Martin (with the F-35A), the Eurofighter consortium (with the Typhoon) and Boeing (with the F-15SE Silent Eagle) competed for the selection. After the DAPA had apparently settled on the Silent Eagle, an executive committee unexpectedly rejected the F-15SE last September and restarted the procurement process. According to Yonhap, the program budget is approximately $6.8 billion; however, the DAPA declined to announce the specific price in advance of negotiations with the U.S. government. The arms agency will negotiate with Lockheed Martin separately over offset conditions, “which include technology support for Korea's indigenous fighter jet development program,” the KF-X, Yonhap said. 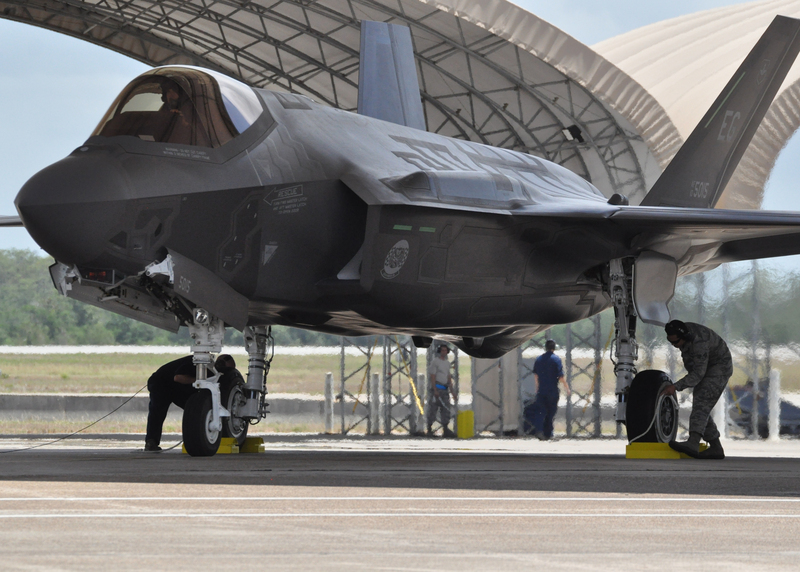 In a press release announcing the selection, Lockheed Martin said the program calls for it to deliver 40 F-35A conventional takeoff and landing variants and logistics support beginning in 2018. The Republic of Korea becomes the third FMS customer of the Joint Strike Fighter after Israel and Japan, which selected the F-35A in 2010 and 2011, respectively.